We’d love your help. Let us know what’s wrong with this preview of Layer Your Novel by C.S. Lakin. To ask other readers questions about Layer Your Novel, please sign up. I am a regular reader of Lakin's blog. I loved the techniques explained in this book. It is surprisingly close to the method I use. Still, the charts , the examples and the layering styles, makes this book a keeper. As an author, I'm always looking for ways to help my writing. After a particularly painful draft, I stumbled across this gem. It has helped me to work through my scenes, themes, pinch points, and twists in such a way that I feel comfortable tackling the next draft. This isn't for the new author. It's for the newish one. You're starting to get your legs under you and want to go further. Clear and organized. Has examples if you're a learn by example person. Glad I bought it. This writing guide presents an innovative technique for structuring a novel that is brilliant. By drawing on a teaching point useful to early grade teachers, she shows how any novel is built from layers of scenes. Take a large jar, fill it successively with rocks, pebbles , sand and water. Only then is it full. A novel is built in the same way. The rocks represent the most important plot building and advancing scenes in a novel. The pebbles represent scenes that support plot advancement, perhaps by raising obstacles or challenges that the protagonist must overcome an route to reaching her goal. The sand adds subplots that help build tension and conflict by reinforcing the obstacles facing the protagonist. The water brings in the remaining scenes that unify the plot into a satisfying whole. I am already benefiting from reading this writer's guide in two ways. First, I notice a deeper awareness of structure and POV when I read a novel, thus drawing me deeper into its plot, action and character development. Second, I find I am revising my own novel with a much sharper attention to structure and detail. “Why I wrote this book,” C. S. Lakin says, is so that the reader can be “confident” she or he has “a solid framework figured out for [her or his] story” and “won’t have to suffer the worry and anxiety some of the biggest selling authors go through day after day.” How does the author give her reader such confidence? It is by describing what she labels an “innovative method” called layering. Reminding us that “novels are made up of scenes,” Lakin details a process that is very much like the jar-fi “Why I wrote this book,” C. S. Lakin says, is so that the reader can be “confident” she or he has “a solid framework figured out for [her or his] story” and “won’t have to suffer the worry and anxiety some of the biggest selling authors go through day after day.” How does the author give her reader such confidence? It is by describing what she labels an “innovative method” called layering. Reminding us that “novels are made up of scenes,” Lakin details a process that is very much like the jar-filling exercise used by many teachers with their young students: put the rocks in first, then the sand, then the water; that is, begin with one layer of scenes and continue with another layer and yet another until the “jar” is full. Lakin identifies ten key scenes as the first layer and notes that each scene has a specific placement in the unfolding of the story that is being told. When these scenes are in place, the next layer of scenes can be applied—usually “reaction-processing” scenes, although the writer may decide instead to “layer in” the scenes of one or more subplots. Lakin gives attention to layering a romance novel, and then she analyzes several works of fiction—both those that are structurally sound and those that are structurally flawed. Lakin includes with each chapter a set of exercises that will help the reader (writer) to experiment with the concept of layering one’s own work and analyzing the work of others. Lakin has produced a book that made me rethink my entire book writing process. Thanks to this book, I now have a way to help resolve problems I’ve been having with the plot of my current novel project. I’ve been struggling with the plot for my first novel for years now, and this book came to my attention at just the right time. I was literally pulling my hair out at time as I wrestled with my subplots, and making sure they entered the story at the right time. But after reading through this book, not once, but three times, I’ve come away with new ways of looking at story structure, outside the basic three-act structure. Lakin breaks stories into layers, and layers into key scenes according to how the layers fit in the story. The best part is that the entire process takes you from story premise to basic outline, and into layers of action-reaction and subplots that add depth to your story, and flesh out your characters in the process. There are lots of books that take you through the basic structure of a novel, but once you have your Inciting Incident and your major crises etc they assume you can fill in the rest yourself. This book takes you the whole way. It starts with ten key scenes to provide a solid foundation for your novel's structure, then adds another ten, and another until the whole novel is laid out and none of the key elements are forgotten. If this sounds like overkill, it's not. There is plenty of room for you There are lots of books that take you through the basic structure of a novel, but once you have your Inciting Incident and your major crises etc they assume you can fill in the rest yourself. This book takes you the whole way. It starts with ten key scenes to provide a solid foundation for your novel's structure, then adds another ten, and another until the whole novel is laid out and none of the key elements are forgotten. If this sounds like overkill, it's not. There is plenty of room for you to be creative. And if you're a pantser, don't dismiss it, the book lays out how pantsers can use it too, so that you have something to aim for when you're writing. I'm reading it very slowly and applying it to my latest book which is already written but has problems, so it works for that too. Probably one of the best books I have ever seen on novel structure. Highly recommended. Writing a novel is like building a house you need a solid foundation and strong framework. If you get these right other things will fall into place with your novel construction. C.S. Lakin does an excellent job of showing how the body of scenes pieces together with layering to fit perfectly into the completed draft. This is a good book for improving your writing style. I expect to read more of her books about crafting a novel. Ok, so on some levels this is really obvious and straight forward. But this book also provides really practical advice on how to structure your novel with subplots and layers. I haven't seen a book like this before on this topic. There was also lots of very helpful examples. I've read a heap of writing books and many give such boring examples of the point their making. This one was most helpful. It's not rocket science but it was the first time I've thought consciously and purposely about how to Ok, so on some levels this is really obvious and straight forward. 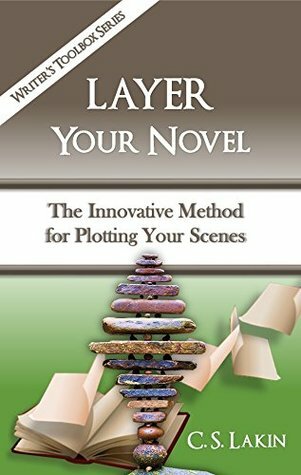 But this book also provides really practical advice on how to structure your novel with subplots and layers. I haven't seen a book like this before on this topic. Nothing new was given about outlining that I hadn't learned in high school many years ago. I'm disappointed in the book. Furthermore, she is arrogant. If you are not an outliner you will be insulted by her comments. At one point in the book, she said she had to force herself to finish reading books so she could present an outline for us to read. Well, that is exactly what I had to do with this book. I had hoped to learn at least one nugget of new information. I didn't. Do I recommend this book? N Nothing new was given about outlining that I hadn't learned in high school many years ago. I'm disappointed in the book. This book wasn't what I thought it was going to be. For what it is, it's fine. It shows an author how to structure their novel using 4 acts and some specific required scenes. If someone hasn't seen that approach, this book is a good place to learn it. There are a lot of other books about it, some that I consider better, some I consider worse. She takes the extra step of "layering" in subplots, which is something I haven't seen a lot of, so there's that. The first half of this book taught me a lot. It was meticulously organized, and had very useful info on how to layer and structure novels. The second half lost me. It took a more abstract approach, weaving in and out of case studies about specific books and genres. We never really got back on point, and I found myself thumbing through the final 40% without a clear, concise final summary. I would still recommend checking this book out for some of the early ideas presented. This approach makes a lot of sense and creates opportunities for rich subplots and twists. There are a lot of exercises and examples in the book (for me a bit too many, but if you struggle to grasp the theory then the examples will help). I've adopted the method for my current WIP and so far it's helping me fill out scenes and character arcs, and add those extra layers of interesting subplots. There's some good information here about identifying the key scenes in your novel and planning outward from there. However, I found reading the scene lists of various novels the author summarizes daunting, and I found myself skimming through those sections. Recommended if you want to learn more about story structure and utilize that in planning the plot of your novel. Clear explanations and vivid examples! I’ve seen this formula in other books, so the extra value comes in the excellent examples and scene by scene discussions of several books. Must read and refer to before starting any book. Fantastically helpful for writers wanting to learn some of the key and very powerful techniques to deepen and enrich their novels. This book together with Lakin's books, "The 12 Pillars of Novel Construction" and "Writing the Heart of Your Story" provide Master Class teachings from an author who lives and breathes "story". Recommended for those interested in studying the craft. This book was very informative on how to properly build the framework of your story and then "fill in the pieces" to flesh out a well-written novel. It helped me to tighten up my WIP and revise it to create a more engaging story. I've read several of her books on novel writing. This one good, but mostly a repeat of information I've already learned from her other books and blog. Useful in planning and outlining your next novel. A helpful way to think about writing a novel. I wish there were diagrams to illustrate her process. I'm not sure about other readers, but I'm less attuned to her style of writing as well. Liked it well enough. Good advice.